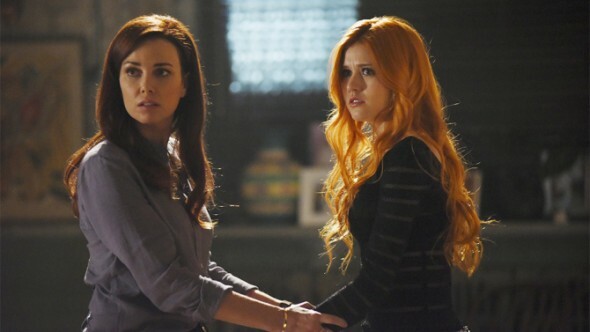 Shadowhunters has new leadership. Deadline reports Todd Slavkin and Darren Swimmer have been named as the new showrunners for season two of the Freeform series. As we reported last week, former showrunner Ed Decter abruptly left the supernatural drama after season one. Slavkin and Swimmer have previously served as showrunners for Smallville and on the Syfy drama Dominion. Freeform has not yet announced a premiere date for season two of Shadowhunters. What do you think? Have you seen Shadowhunters? Will you watch season two? Yes I will watch S2. My daughter and I enjoyed the book series by Cassandra Clare and The City of Bones movie. There have been major plot line changes from the books, but that ALWAYS happens. The “brushstrokes” are still recognizable. This series is not highbrow, but it is enjoyable fantasy watching.